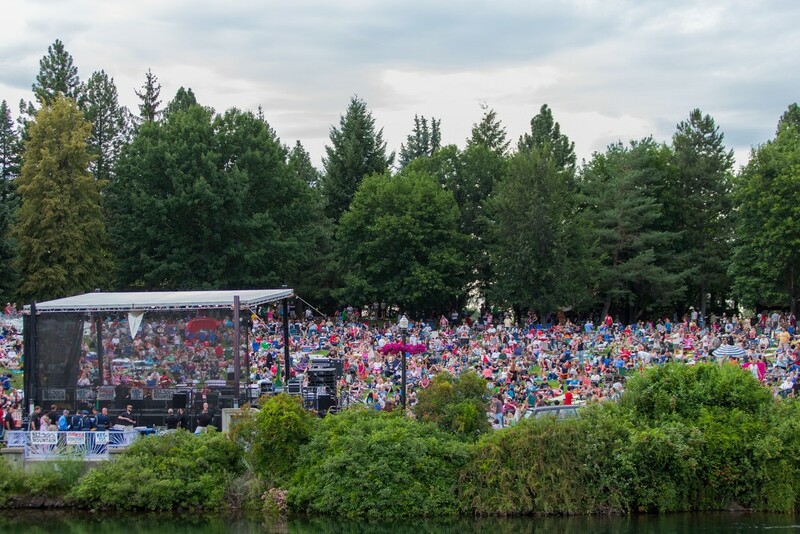 Thousands of people gathered in Riverfront Park on the evening of July 4th to celebrate the nation's 238th birthday in style. Music and the smell of food filled the air during the day. 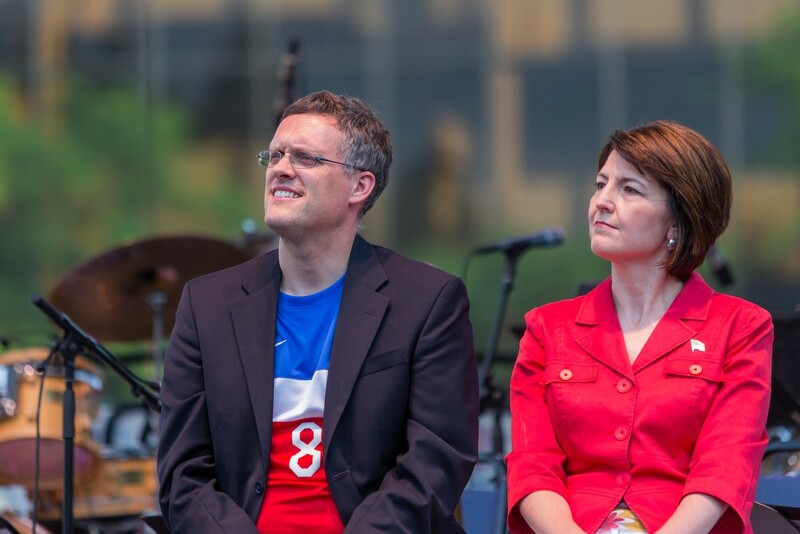 City Councilman John Snyder and Congresswoman Cathy McMorris Rogers attended spoke with those in attendance. Colonel Brian Newberry, commander of Fairchild Air Force Base, was also in attendance giving a patriotic speech. Later in the evening, a large fireworks display dazzled the crowd. It took 3 days and 16 workers to put together the fireworks show. Fireworks blast through the night sky in Riverfront Park. 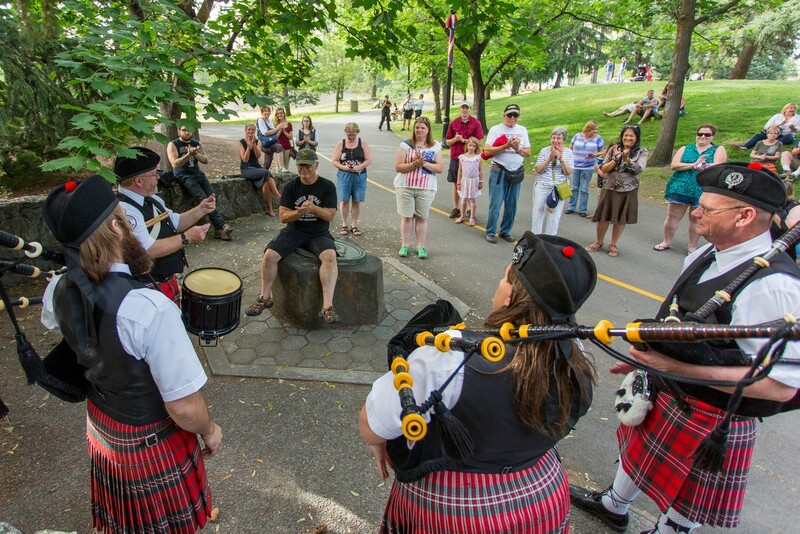 The Angus Scott Pipe Band of Spokane plays for people in Riverfront Park. 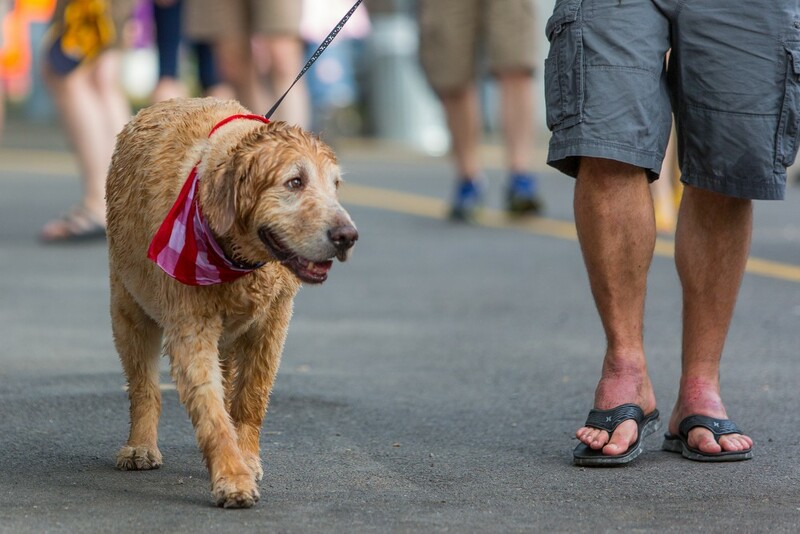 9-year-old dog, Cody, walks with his owners in Riverfront Park. 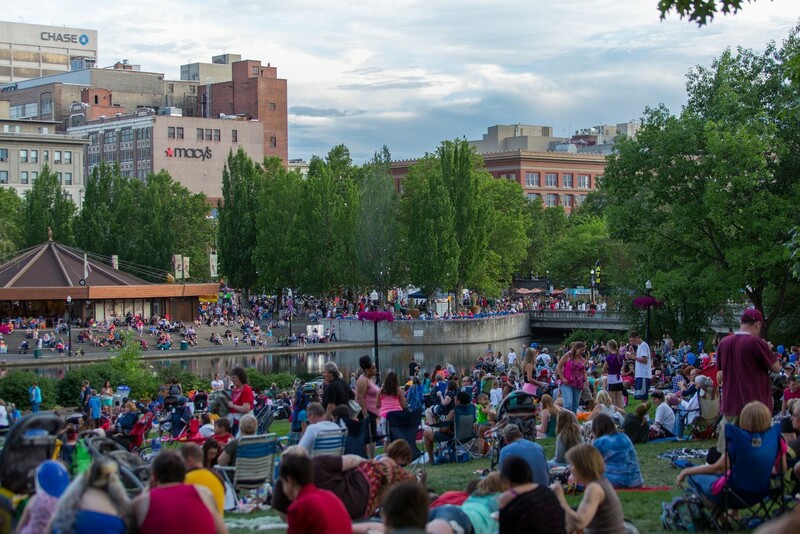 Thousands of people gathered in Riverfront Park to listen to music, enjoy the weather and watch the firework display. City Councilman John Snyder, left, and Congresswoman Cathy McMorris Rodgers listen as Colonel Brian Newberry, commander of Fairchild Air Force Base, speaks to the crowd. 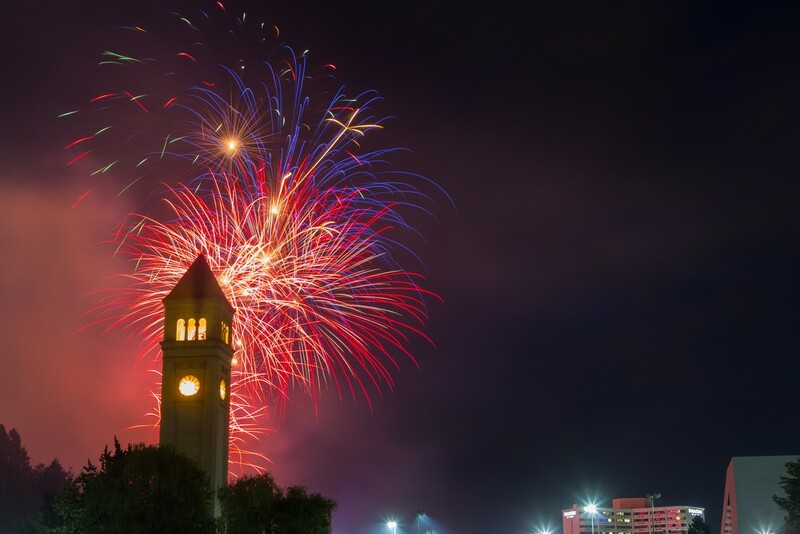 Fireworks blast through the night sky in Riverfront Park next to the iconic clock tower. 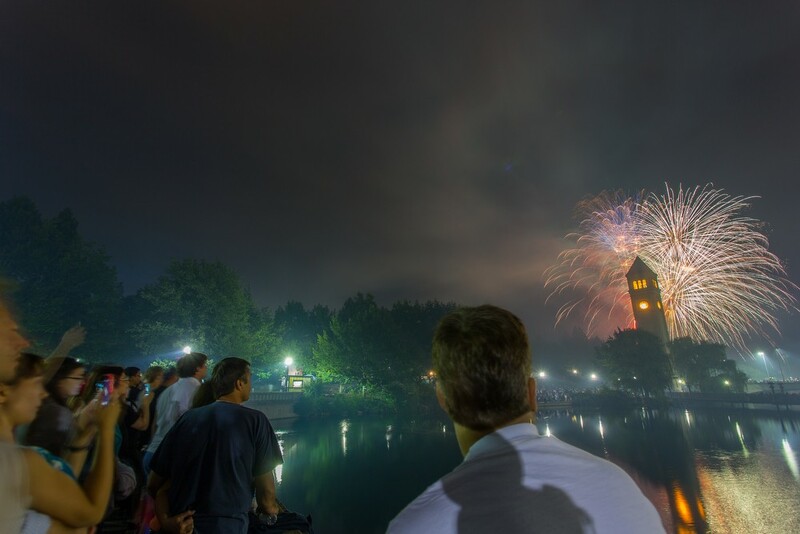 Thousands of people gathered in Riverfront Park to view the firework display, which was said to be the largest show to be put on at Riverfront Park yet.